Sean Fowler nails it during the final heat. Dylan and Travis were part of an international crew who found themselves surfing a historic swell at San Miguel in Ensenada on Saturday and Sunday as part of the 2012 2nd Annual Walter Coloca Memorial Open Surf Contest organized by United Athletes of the Pacific Ocean (UAPO) and WiLDCOAST. Luis from Venezuela during the opening heat. That wasn’t all that was going on. 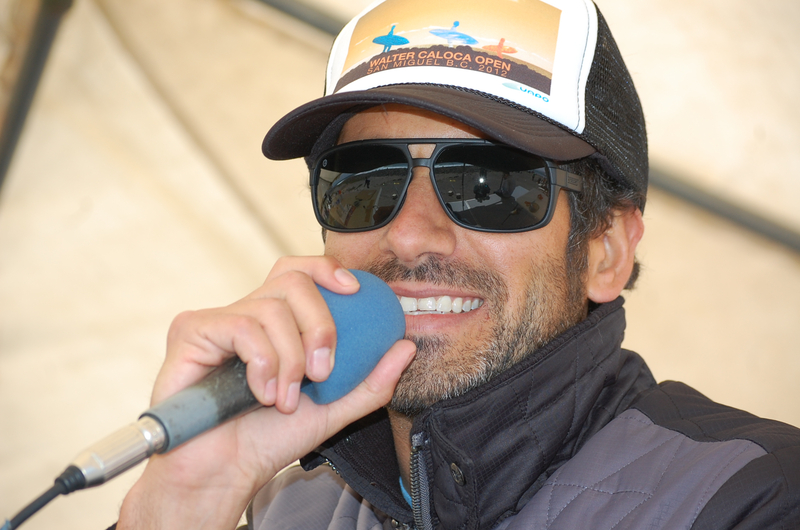 “On Friday March 30th, the day before the surf contest we held the first ever forum, La Nueva Ola, on the state of surfing in Baja at CETYS University in Ensenada,” said Alfredo Ramirez of UAPO. Speakers from Pronatura, Autonomous University of Baja California (UABC), WiLDCOAST, Surf Ens, CETYS University, Locales Surf School and UAPO presented their collective efforts to engage youth in the sport of surfing and reestablish a clean and accessible surfing environment. 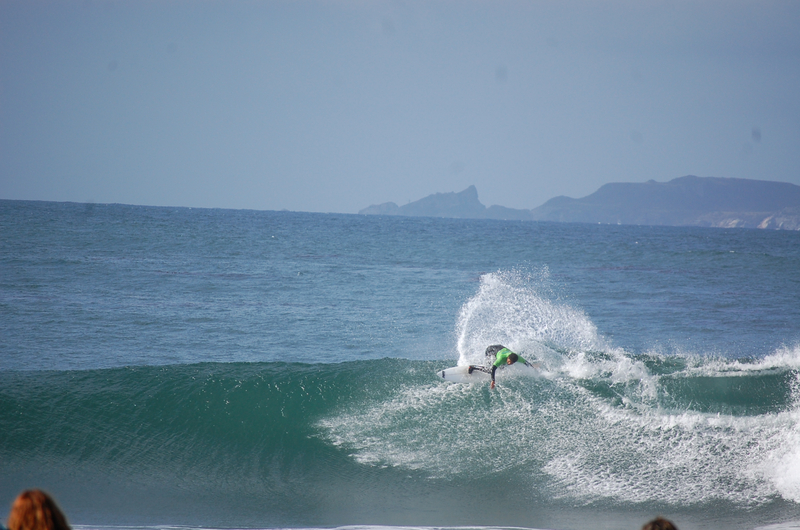 “Although limited coastal access and poor water quality is currently limiting economic and recreational opportunities for surfing, there is a new wave in Baja California to improve the situation,” said Zach Plopper of WiLDCOAST. The forum was a good way to launch the Walter Coloca Open over the weekend. More than 60 surfers from Mexico, Venezuela and the U.S. came together to surf in the second year of an event organized by Ramirez. Saturday was for the junior, school and body board divisions. Venezuelan Derek Gomez ripped his way to both finals in both the age 12-15 and 16-18 divisions. Judges and spectators were amazed by his solid style and explosive surfing. Equally impressive was Imperial Beach’s Josh Johnson who scored a perfect 10 (the only 10 of the event) in the 12-15 semi-finals with a double barrel ride across the entire cove section of San Miguel. Josh placed second in his division. Zach Randall, 13, from East Lake Middle School came in third. Second place in the 16-18 division went to Andres Aguirre from Ensenada. Also making the final were Michael Roccoforte from El Cajon, and Jorge Olvera from Ensenada. 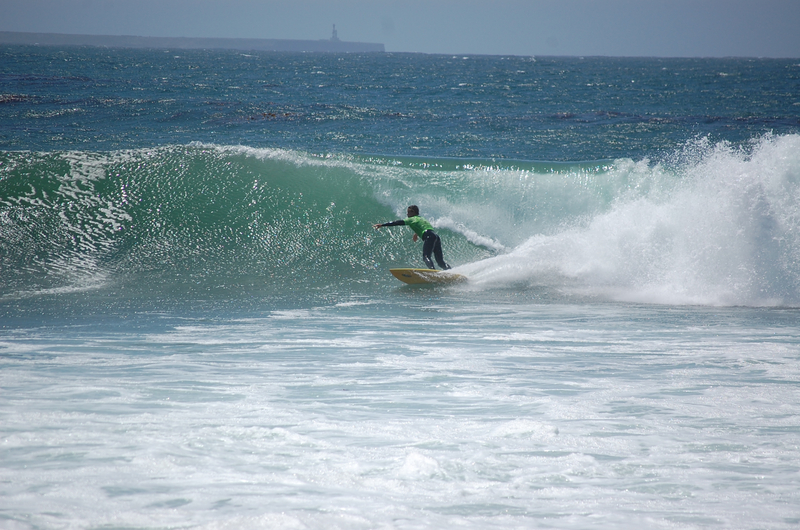 Paloma Aguirre of San Diego won the Open Body Board division with Ensenada’s Jose Peralta coming in a close second. 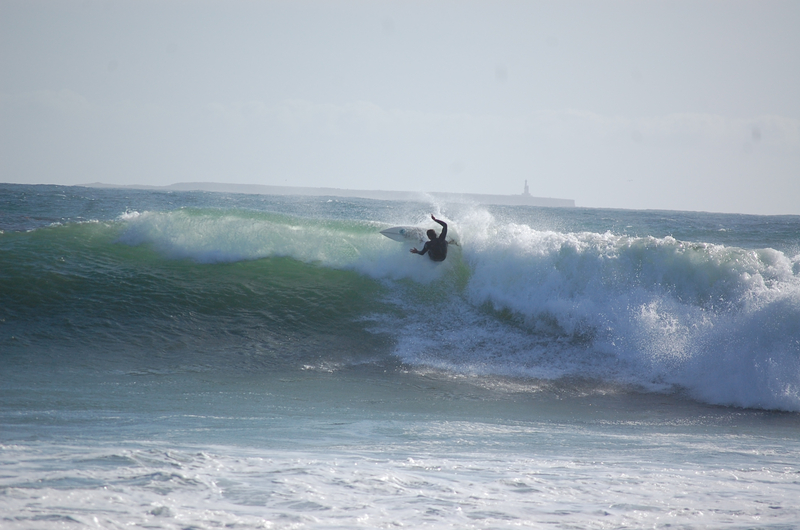 The Open Division of the contest took place on Sunday with an increasing combination of swells. I joined Imperial Beach surfer Sean Fowler and South Mission Beach’s Craig Macias in the rising swell Sunday. “The swell was the product of a compact, but intense, storm that was located just a few hundred miles off the California coast,” said Kevin Wallis, surf forecaster for Surfline. He said it brought 30-50 knot-plus winds and seas of over 30 feet. Mysto waves north of San Miguel. 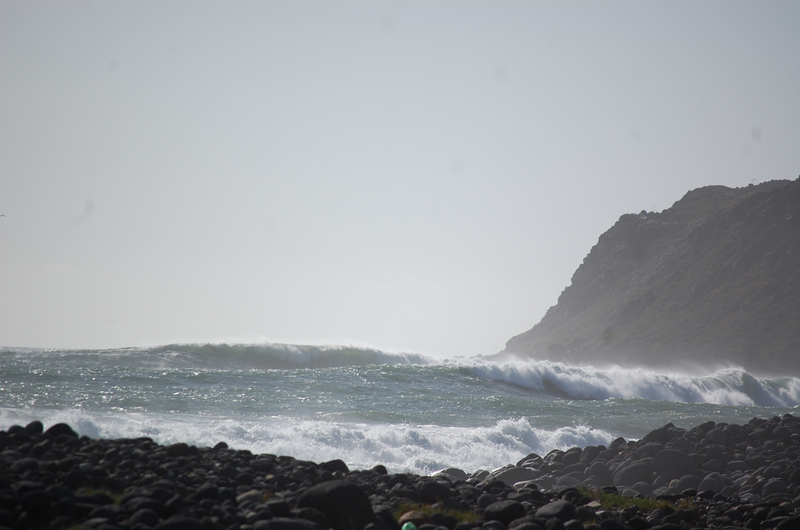 When I arrived at San Miguel on Sunday, the surf was in the 3-4’ range. By the time the contest was over the sets were 6-10’. “This was definitely the latest I can remember seeing a swell of that size and westerly direction, which allowed it to get into many SoCal breaks,” said Wallis. “Thirty surfers put on an exceptional show of surfing for the spectators and judges,” said Plopper, who helped to sponsor and organize the contest. 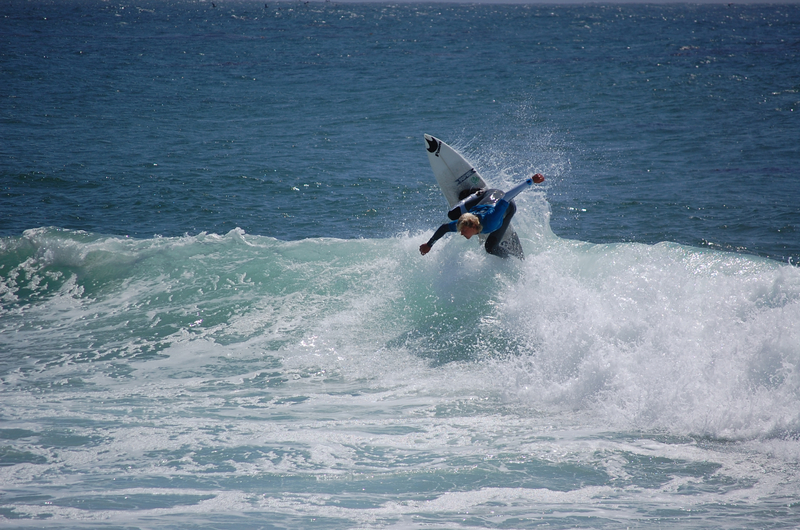 Dylan Southworth surfed consistently to the final and took home first place. In a close second was Imperial Beach’s Sean Fowler. Placing third and fourth were Cheyne Willis from Hawaii and Travis Southworth. In the women’s division big-wave surfer Narra Nunez took the win and Everardo Montoya won the longboard division. 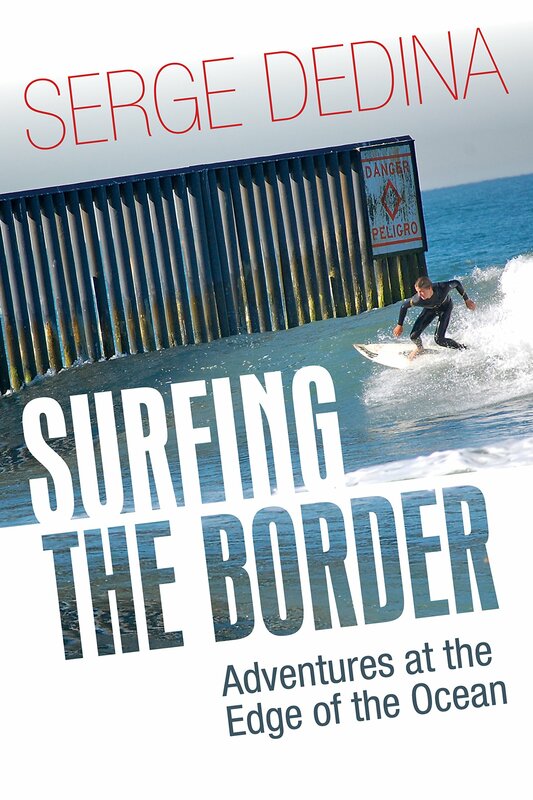 Both surfers are from Ensenada. Zach Plopper and Men's Open Finalists. Zach Plopper after the contest was over when the swell started pumping. That's me in my first or second heat. I stared the semi right after finishing my second heat, competing against the Southworth brothers and Luis from Venezuela. I was super tired and they all ripped! 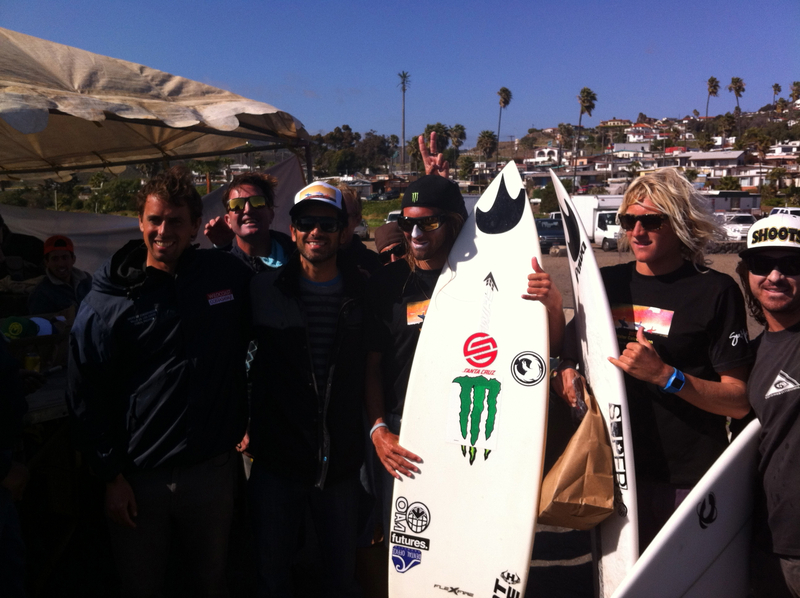 it was an honor to surf with them--all great guys and great surfers!